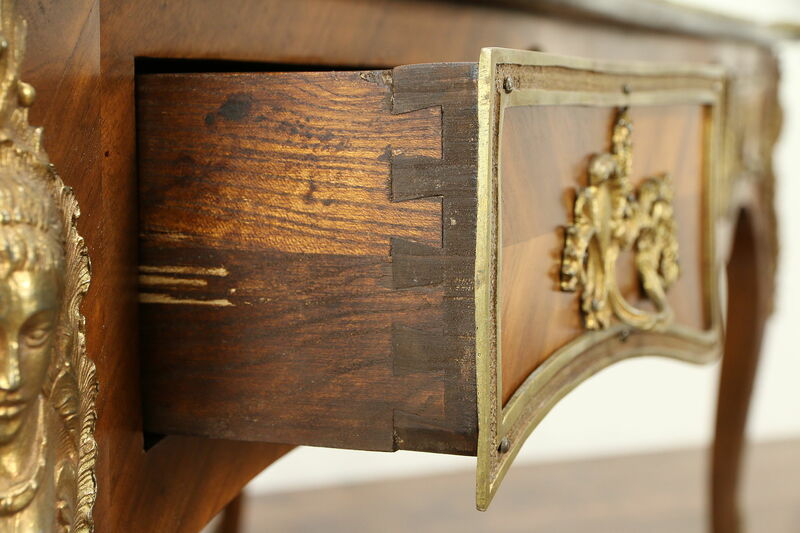 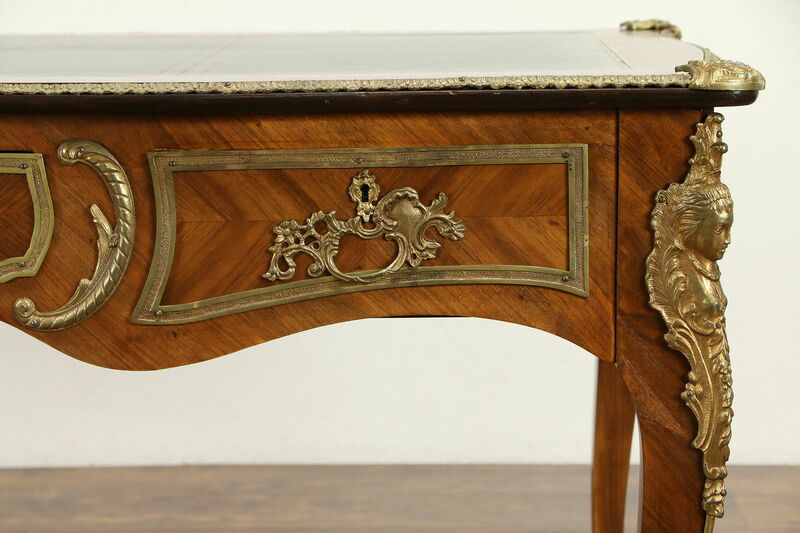 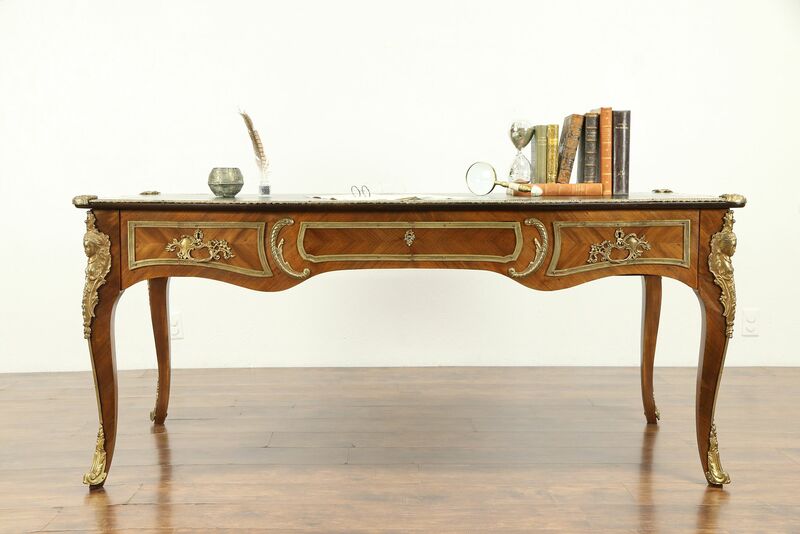 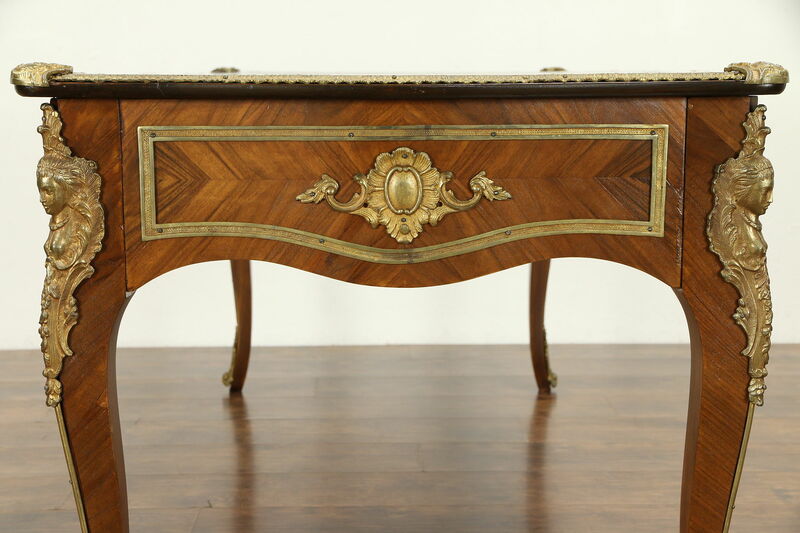 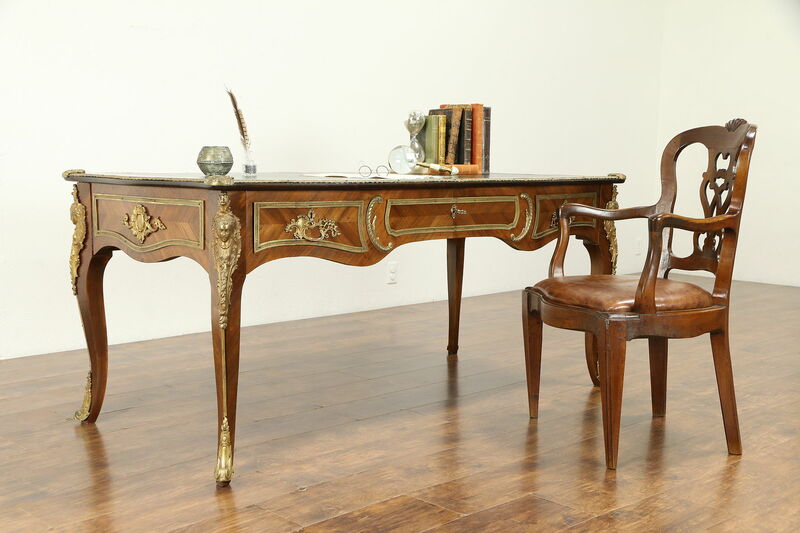 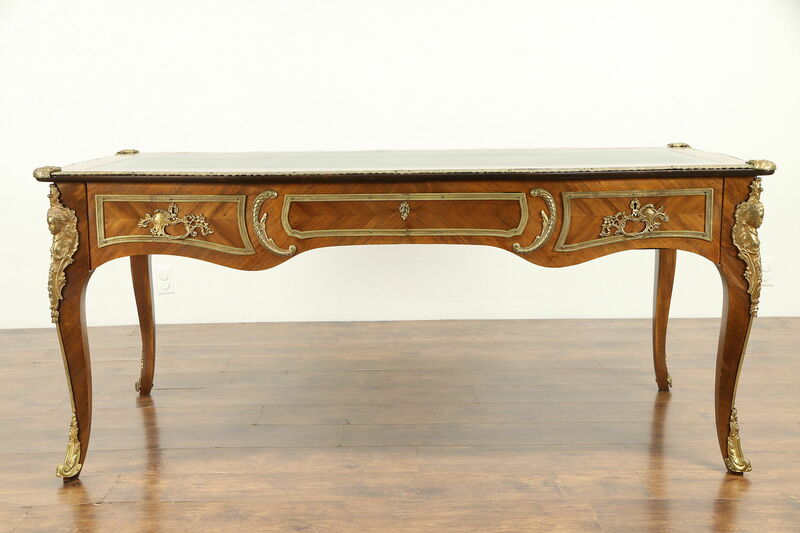 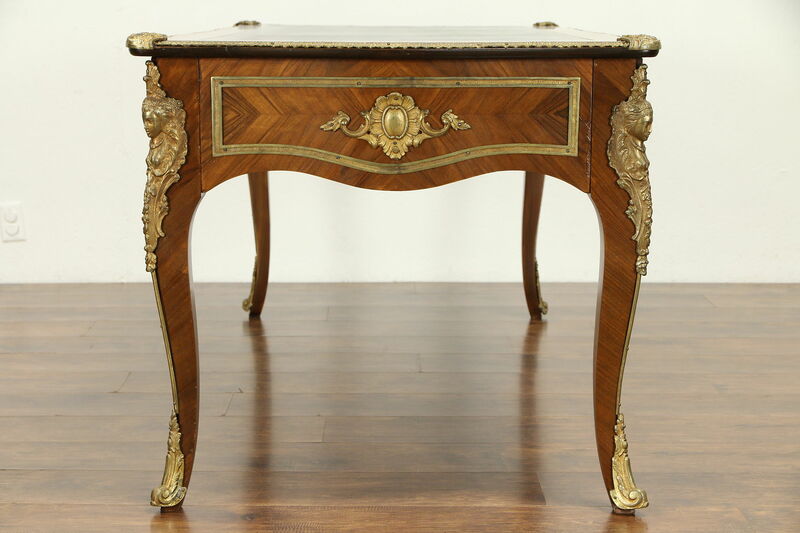 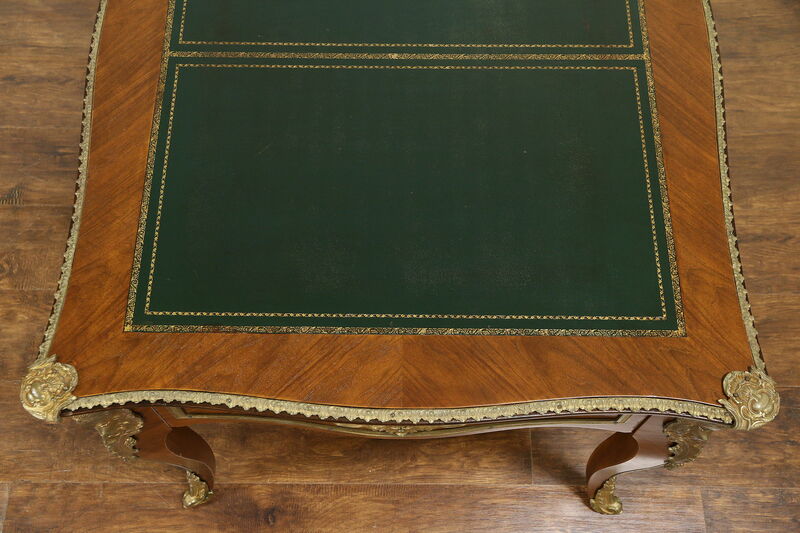 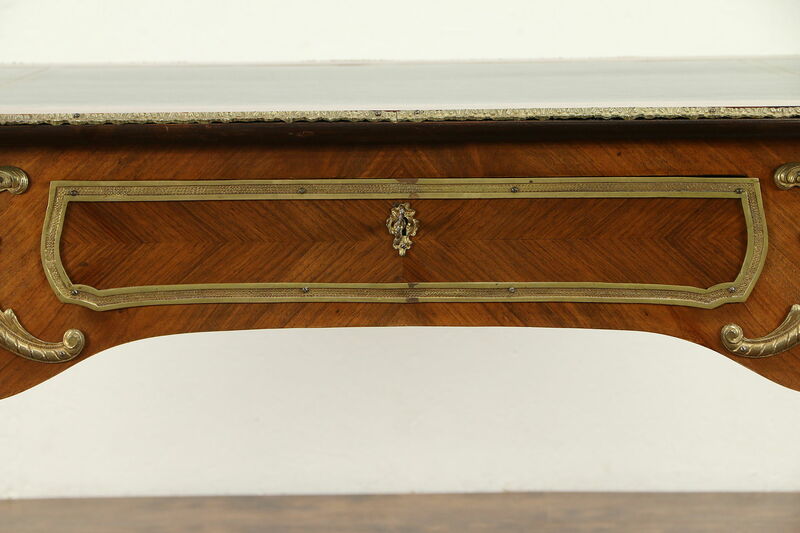 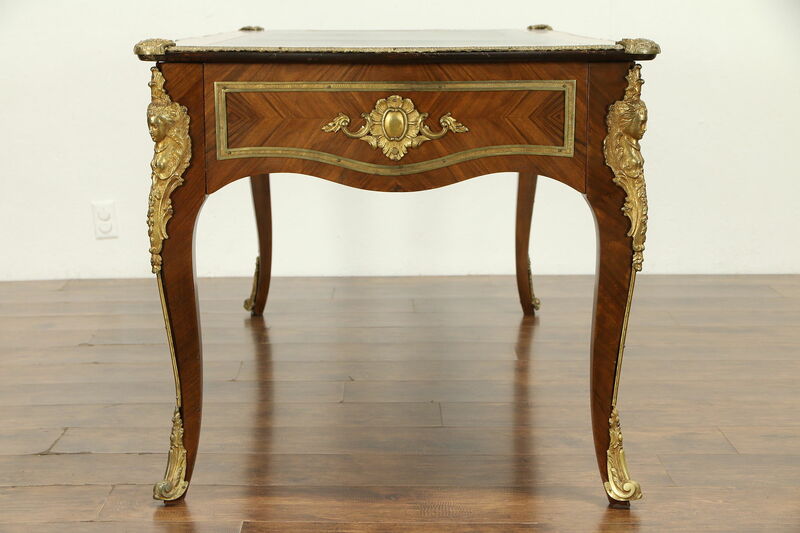 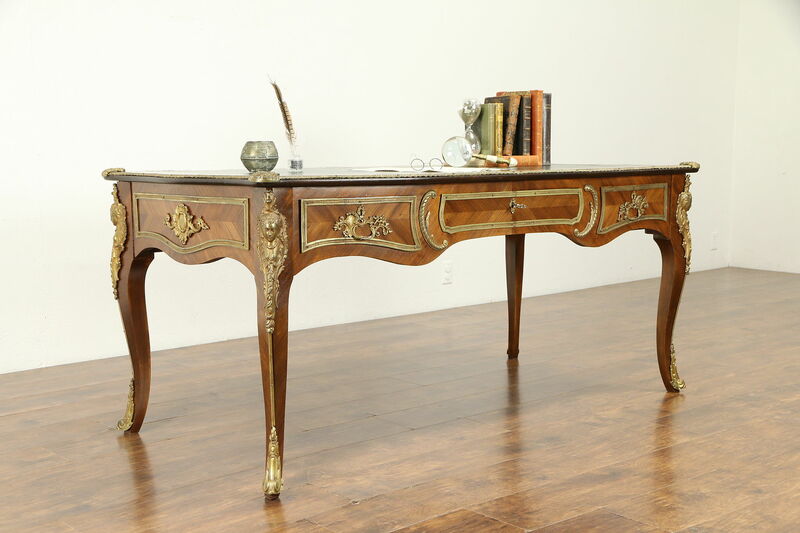 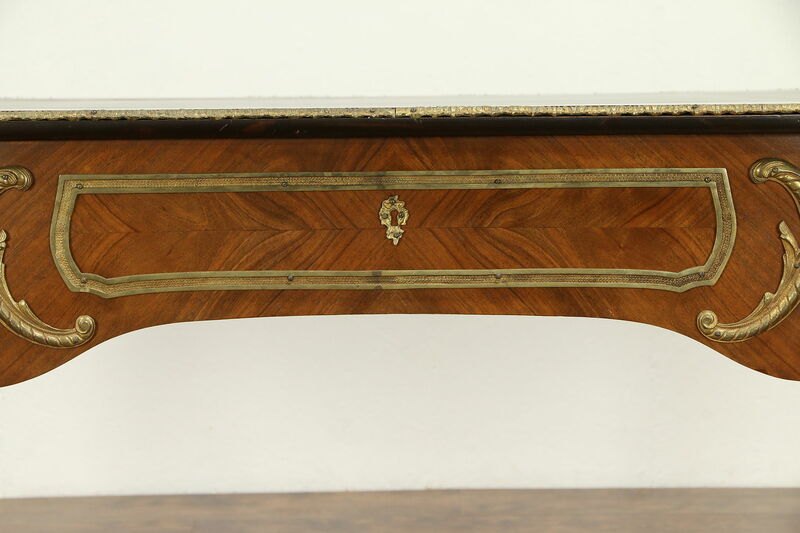 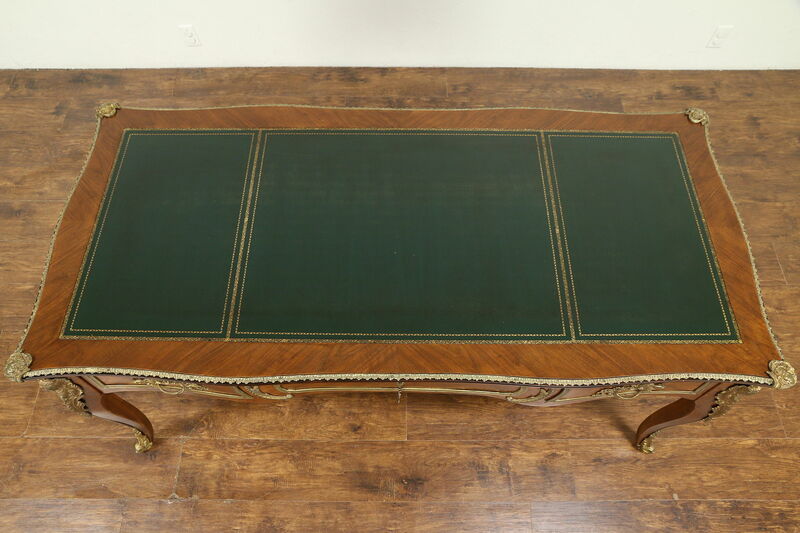 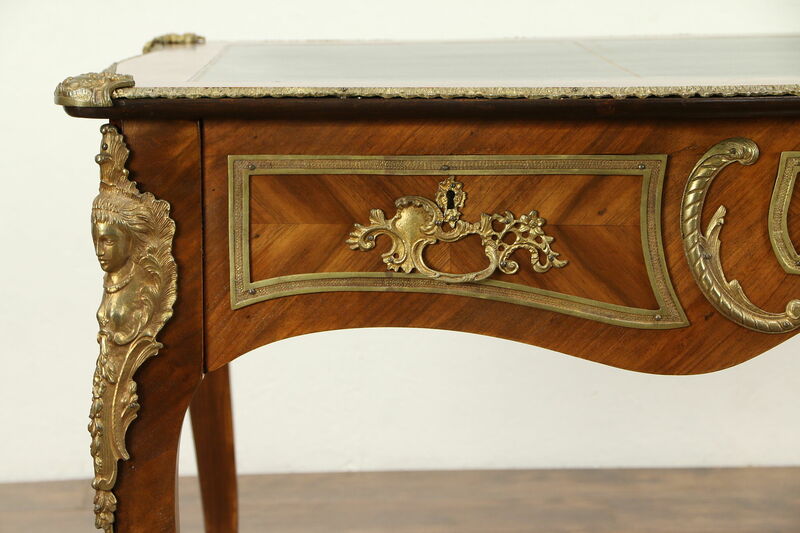 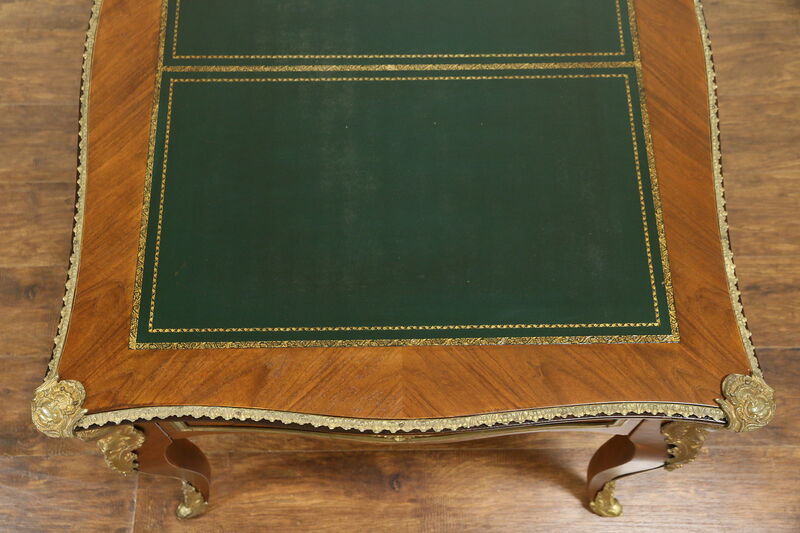 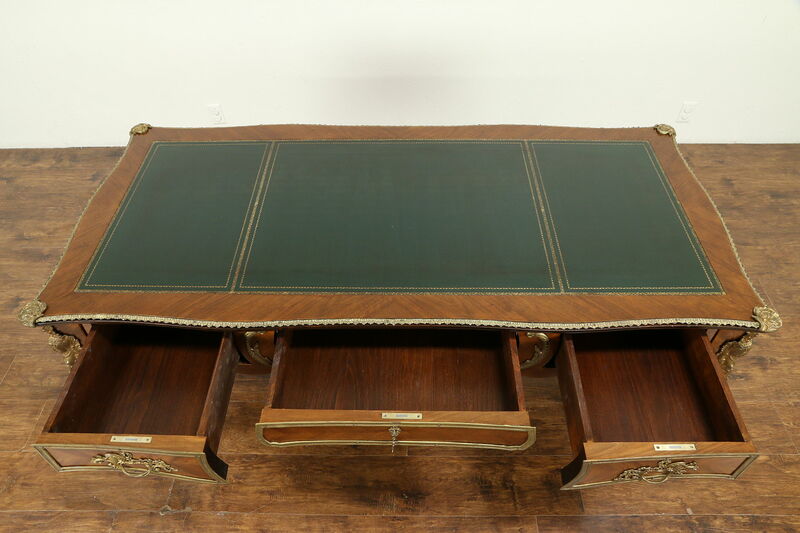 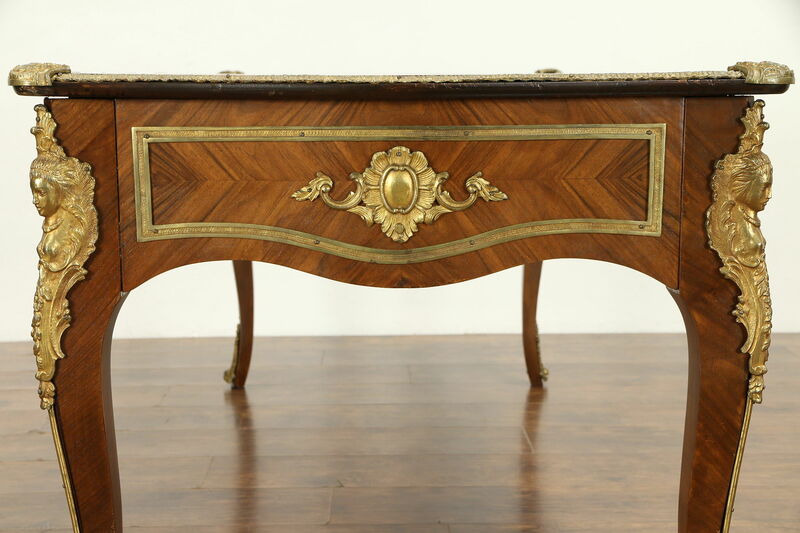 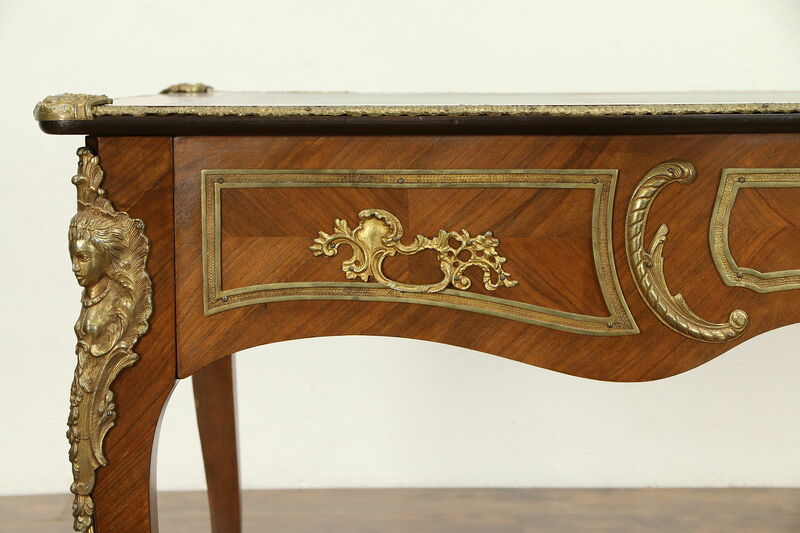 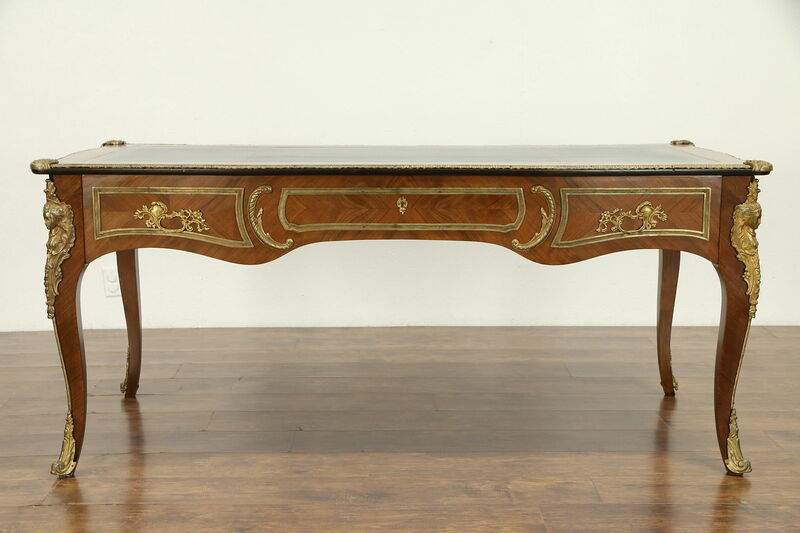 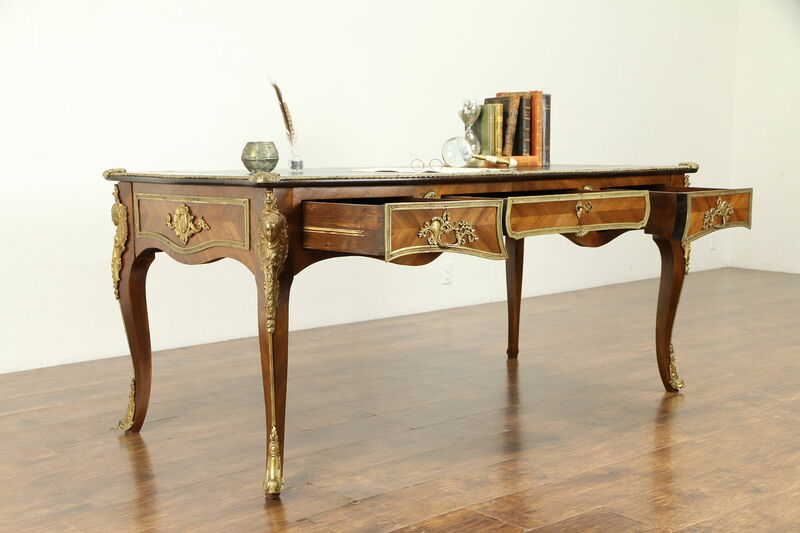 A spectacular Louis XV French style desk from about 50 years ago was actually hand crafted in Spain. 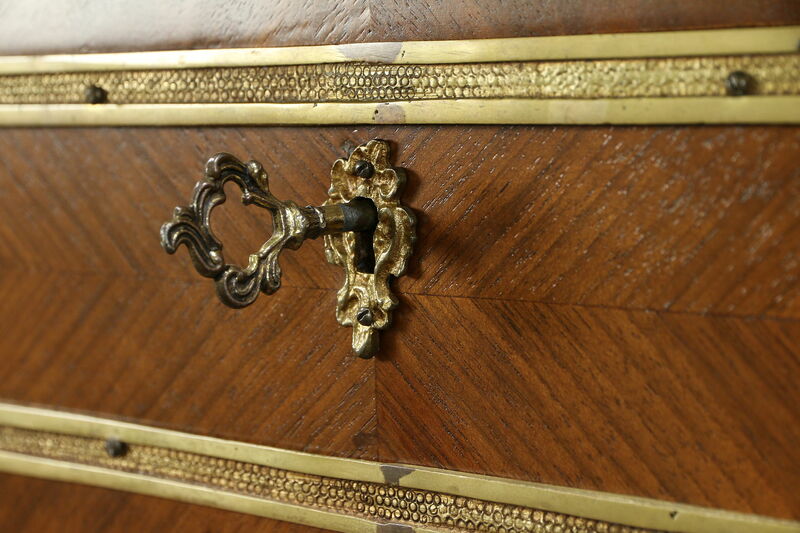 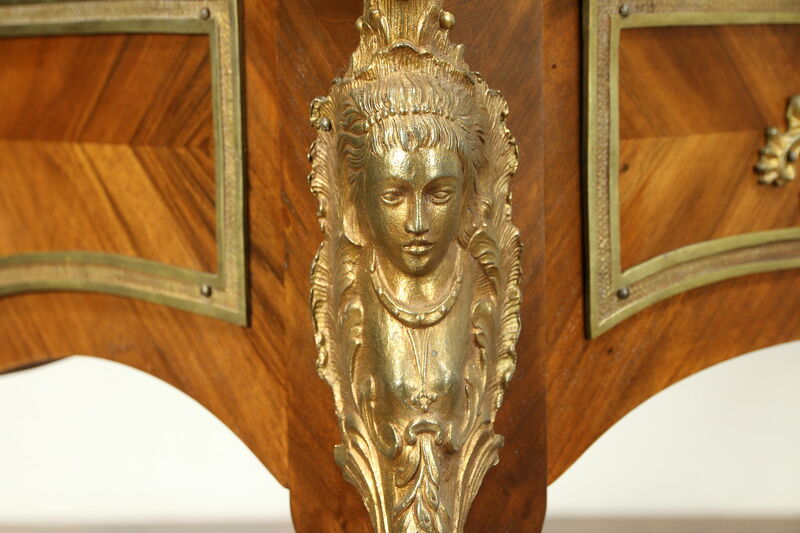 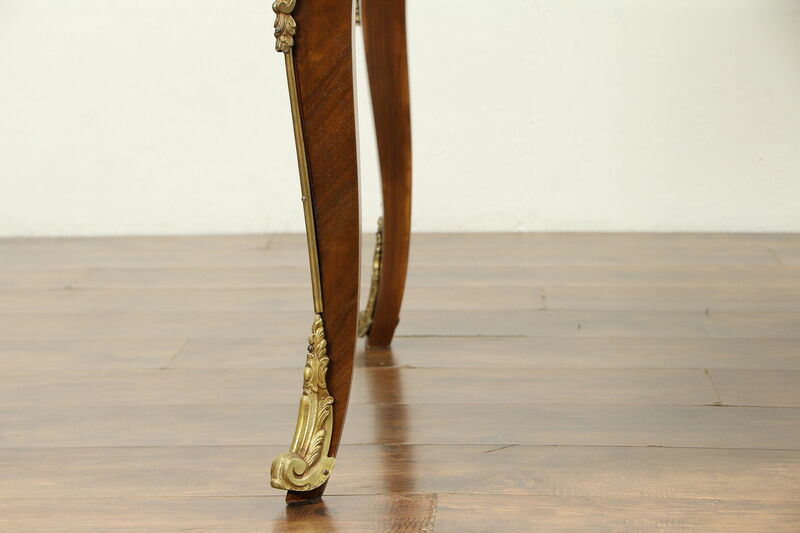 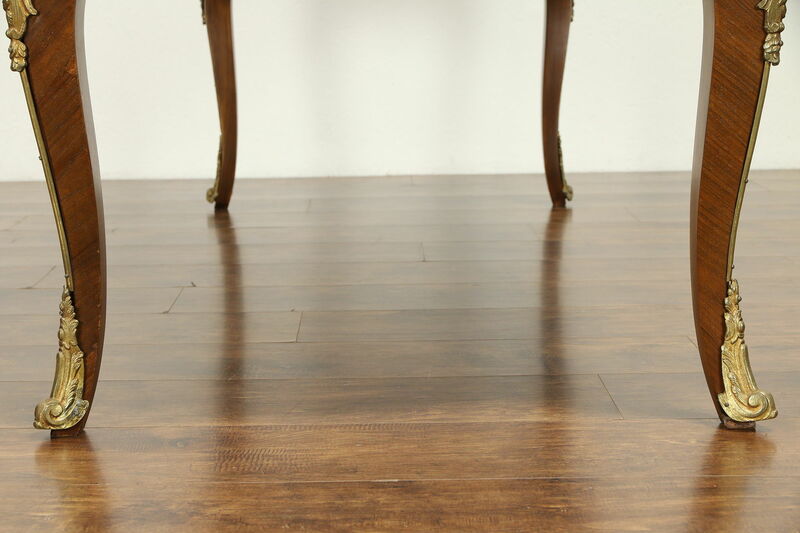 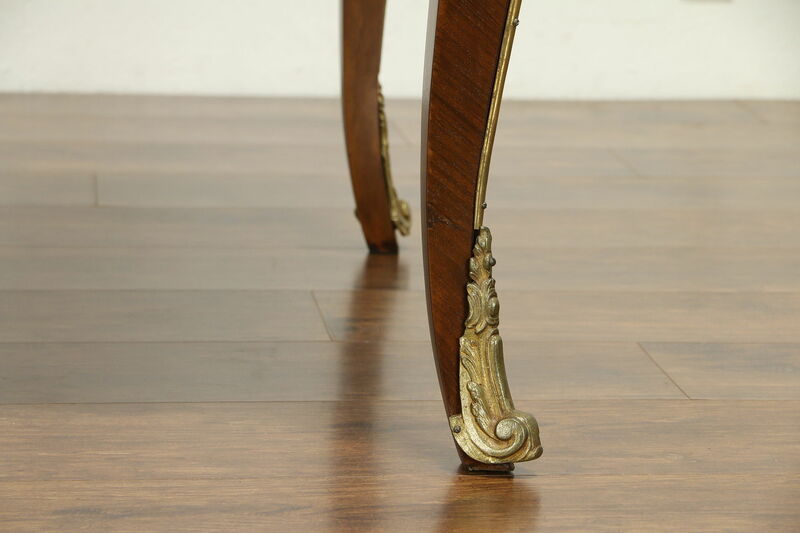 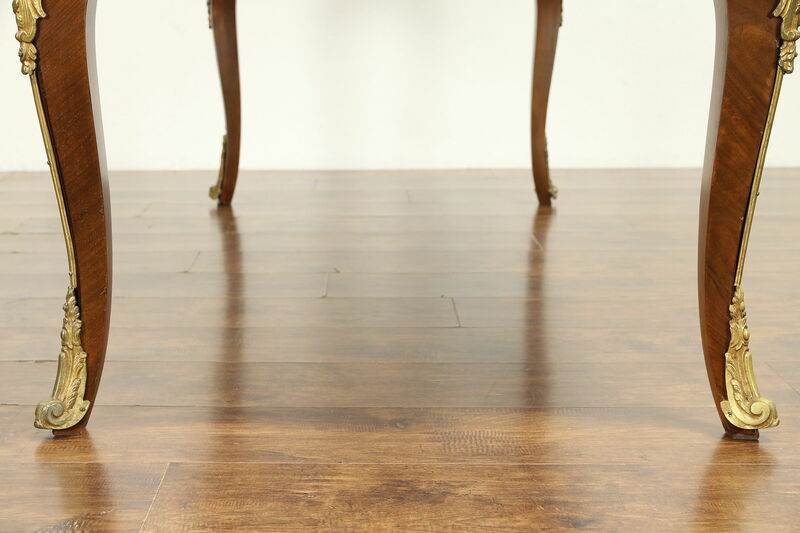 Matched walnut is accented with original cast bronze mounts, moldings, pulls and female figures at the corners. 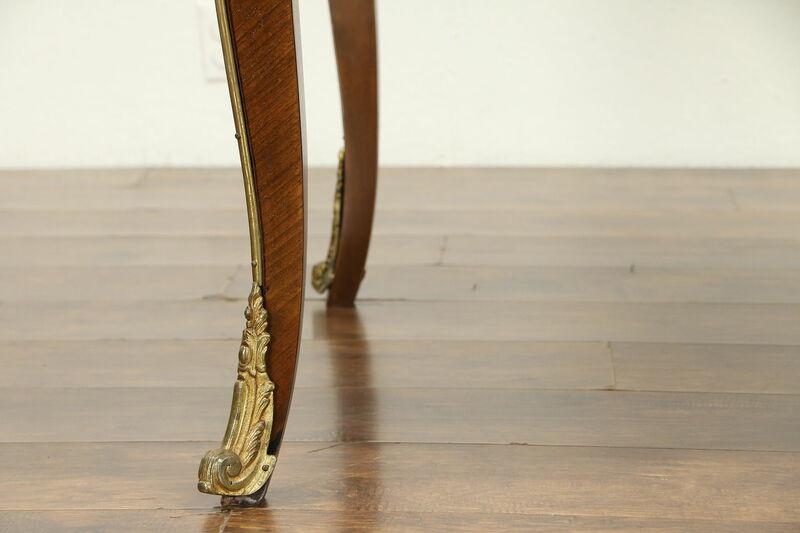 The restored finish is in excellent condition, preserving a few mars and shrinkage separations from age for a little antique character. 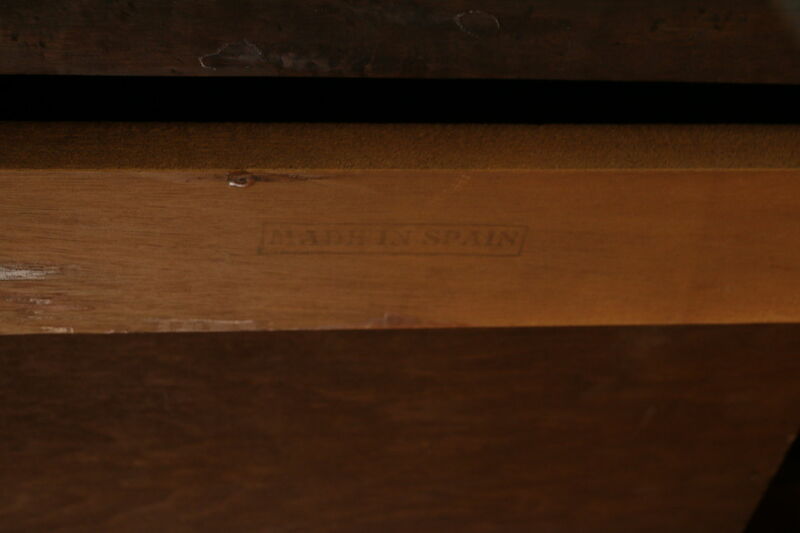 Drawers have working locks on this European vintage furniture, opposite "drawers" are false. 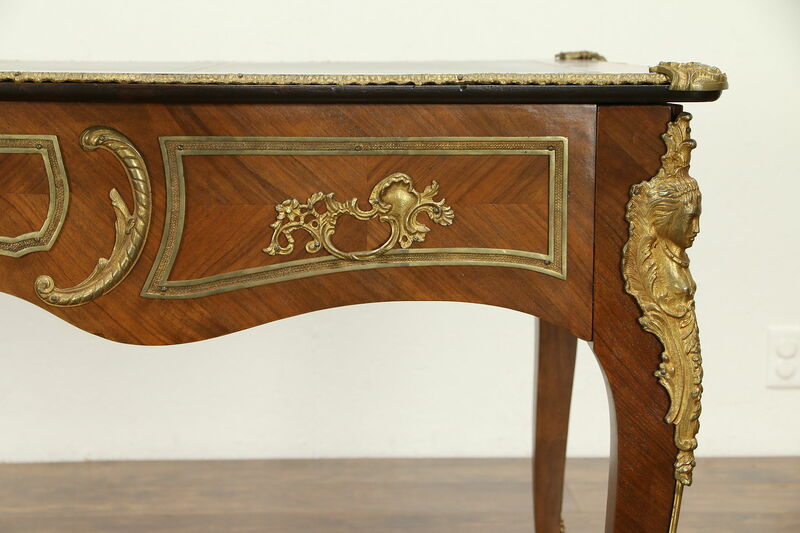 The top is gold tooled. 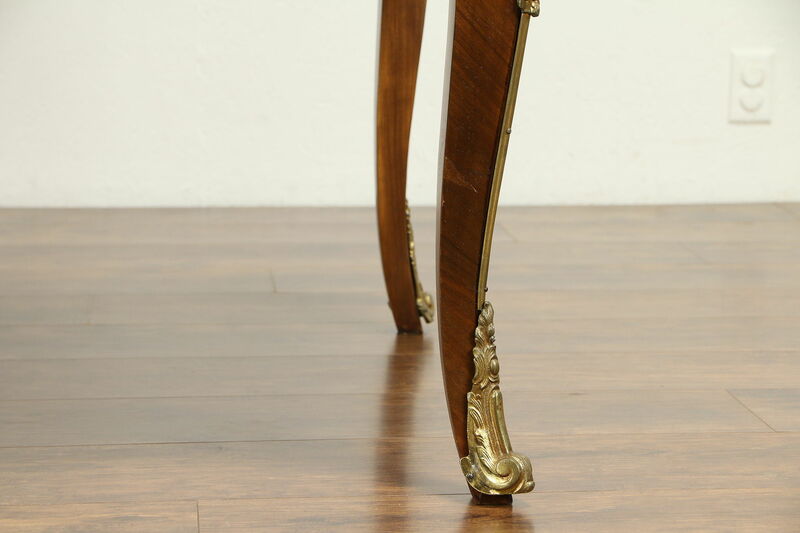 Measurements are 69" long, 33" deep, 30" tall and legroom is about 23 1/2" underneath.